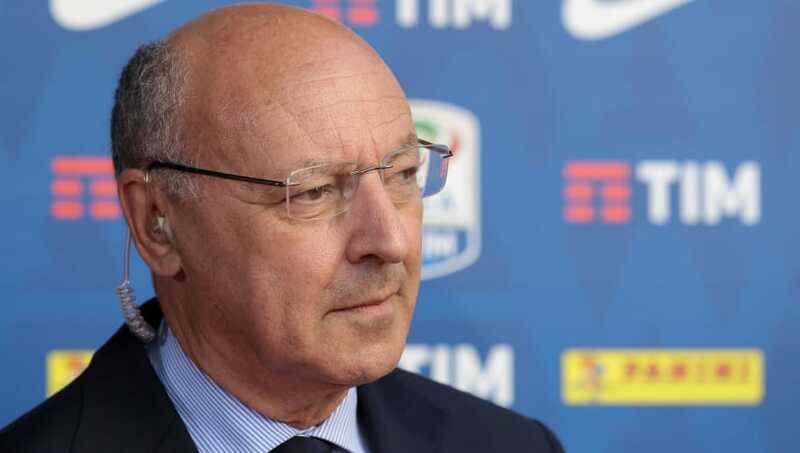 While at Juventus, Marotta has overseen seven Serie A title wins, four Coppa Italia titles and three Super Coppa Italia titles, but according to Football Italia, the Italian is believed to have spoken with representatives from Juventus' rivals Inter for his services. Reports from ​Tuttosport suggest that Suning Group’s (Inter's owners) chief representative in Milan, Steven Zhang, met with Marotta in recent days to discuss the Nerazzurri's ambitions to once again become the dominant force in Italian football, with Marotta seemingly on-board. Marotta fuelled further speculation of his imminent release after he didn't attend Juventus' 3-0 Champions League victory over Young Boys on Wednesday night. Venerato told ​Rai Sport: "Marotta was sounded out by AC Milan three months ago but now he could be joining Arsenal to replace Gazidis. Roma and Inter have shown interest as well." Contrary to reports, however, Marotta has claimed that he may instead decide to take time-off before joining another club the following season, also telling ​Rai Sport: "I could end up at another club, and I cannot rule this out since I’ve worked 40 consecutive years in clubs and never interrupted this. "This is the first time I will take a break while a season is under way, and maybe it’s right for me to recharge the batteries. Then I hope to be at the helm of another club in 2019/20."